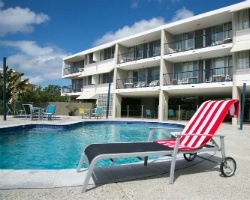 *Pacific View Resort* is located on the Caloundra Headland and overlooks the beautiful Pacific Ocean. The resort is an easy walk to the beach, or guests can choose to stay on site to enjoy the pool, half tennis court, spa and sauna. 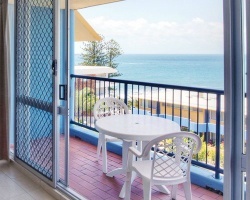 Here on Queensland's Sunshine Coast you will find an abundance of surf, sunshine, water activities, delightful sightseeing attractions, and more! The office can arrange fascinating tours to The Big Pineapple, The Reptile Park, The Ettamoga Pub or The Macadamia Nut Plantation, or visit the hinterland where many cottage industries still thrive. To discover more, visit www.pacificview.com.au. Annual week 27 in astonishing Australia! Buyer may receive a title fee credit, inquire for details! Enjoy the sunny and dry Queenland's winter season week 28 each year! Buyer may receive a title fee credit, inquire for details!